April | 2014 | Do You Hear The Music? Coldplay’s new song “A Sky Full Of Stars”, produced by Avicii. The new album, Ghost Stories drops May 19. Damn did it feel good to see O.A.R. live once again. While I have lost count of how many O.A.R. shows I’ve seen over the years, I do know that it has been a couple years since I last got a chance to see them live. Night one of a three night extended stay at Brooklyn Bowl Las Vegas instantly put me back in that happy place and made me feel right at home. With good friends all around me it was a perfect evening and I for one can’t wait for the next two nights of shows. Here are some images from the show last night. Hey Vegas, YOU + ME @ Brooklyn Bowl the next three nights for O.A.R. Okay Vegas, anyone who was in high school or college circa 1999 should be joining me at Brooklyn Bowl the next three nights as O.A.R. comes to town for a stopover! Regardless of anything I’ve said above if you’re into music, the next three nights are simply ones you won’t want to miss. Perhaps I’m biased but a live O.A.R. show is an event and more importantly a damn good time. So come on, drive yourself over to the Linq, marvel at the High Roller, stroll up to Brooklyn Bowl and come see some killer music in one of the best live music settings. Oh and if you think it’s going to be a late one, shows are at 7:30, you have no excuse. Now back to the music……. Last weekend was one for the ages as Phil Lesh descended upon Las Vegas and played three nights at the brand new Brooklyn Bowl Las Vegas with an all-star lineup which included Jackie Greene, John Scofield, John Medeski, Stu Allen and Joe Russo. 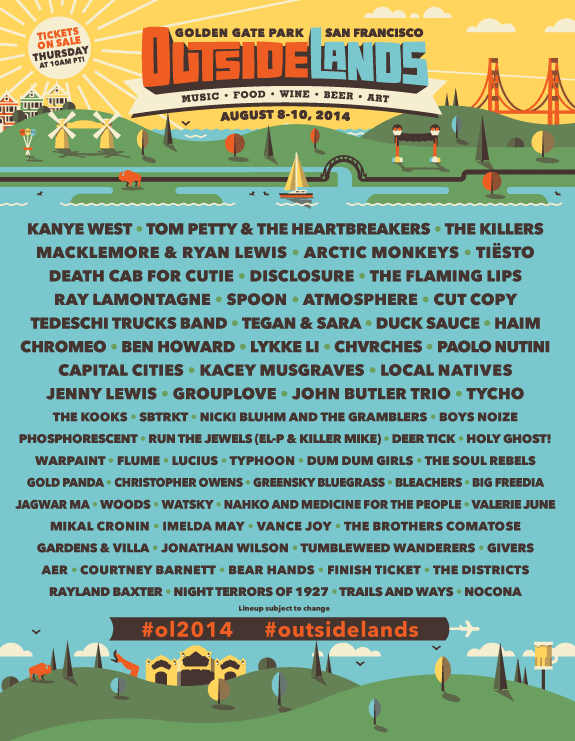 How’s that for a powerhouse lineup?! And boy did it live up to the billing. It was definitely an honor to watch these guys on stage and the chemistry was just ON. Here’s a video of “Franklin’s Tower” from night three of the run. Apologies in advance as it’s only four minutes since I wasn’t prepared for them to play one of my favorite Dead songs and I cut it short because frankly, my arm was tired. Regardless, I think you’ll enjoy it! And since today is a great day, I’ll do you one better. You can click the links below to download all three shows from Brooklyn Bowl Las Vegas! A few years ago I had posted about singer songwriter Benjamin Francis Leftwich and now comes a solid remix “Shine” by Kygo that I can’t get out of my head. It really is the perfect track for spring and easily a song to help you daydream away. Hope you enjoy it as much as I do. Give a listen, the first track from The Roots’ upcoming album And Then You Shoot Your Cousin. Raise and glass and celebrate Insert Coin(s) turning three! Time sure does fly and I have to give a HUGE shout out to Chris LaPorte for all his continued success with Insert Coin(s)! From reliving my youth and playing old school video games like Frogger to seeing incredible musical talents like Denitia and Sene, plus the killer music programming by DJ88 and the venue in Downtown Las Vegas is a gaming and music paradise. 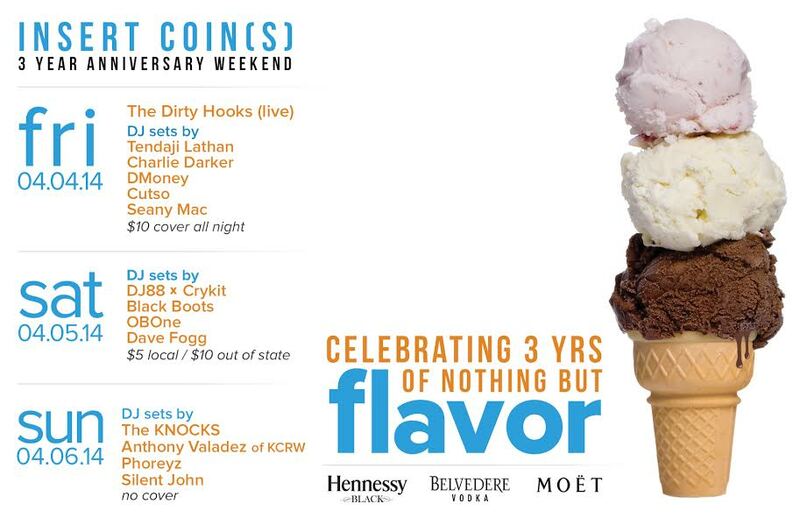 For the next three nights it will be one nonstop party as Insert Coin(s) celebrates three years of games and grooves. Tonight one of our fast rising local bands (who also played Life is Beautiful), The Dirty Hooks take the stage while Saturday should be an action packed night with DJ88, Crykit, Black Boots, OB One and Dave Fogg on the decks. 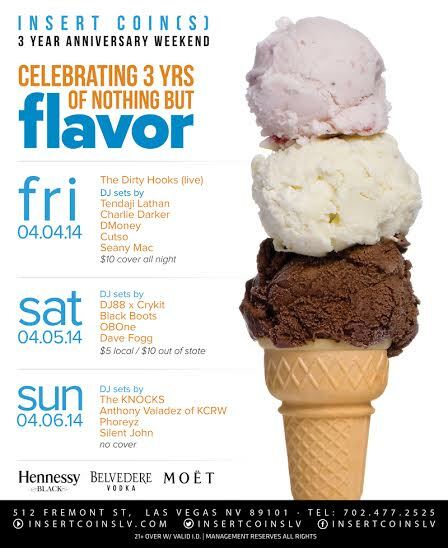 And on Sunday, some of my favorite musicians, The Knocks, will perform!